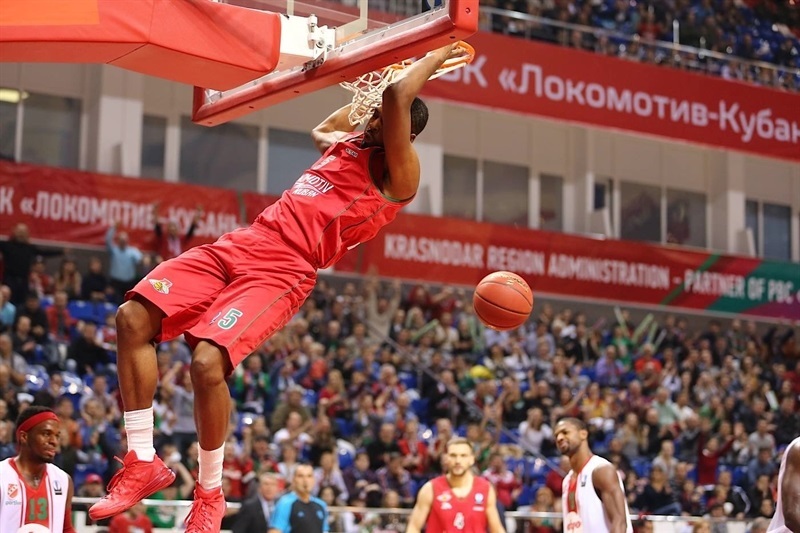 Lokomotiv Kuban Krasnodar remained undefeated at the midway point of the Eurocup Regular Season by defeating Pinar Karsiyaka Izmir 75-63 in Group F. Lokomotiv Kuban sits atop the table with a 5-0 record, while Karsiyaka slipped to 3-2. 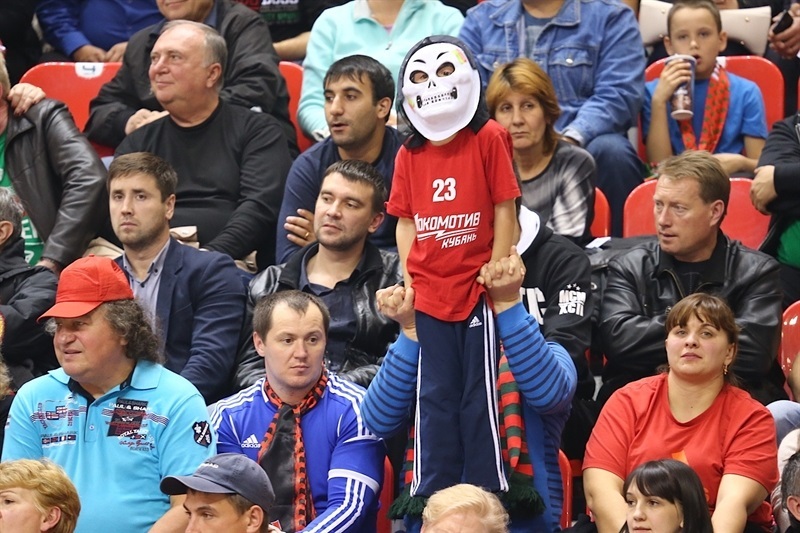 Lokomotiv used a 19-4 second quarter to build a comfortable 39-25 advantage at halftime and never looked back. 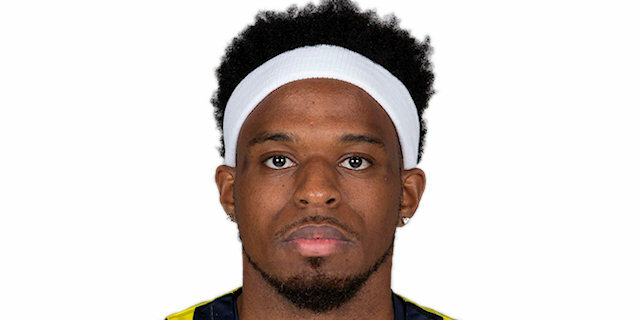 Malcolm Delaney contributed with 19 points, Anthony Randolph posted 17 points and 9 rebounds for an index rating of 30 points and Derrick Brown and Krunoslav Simon scored 10 each in victory. 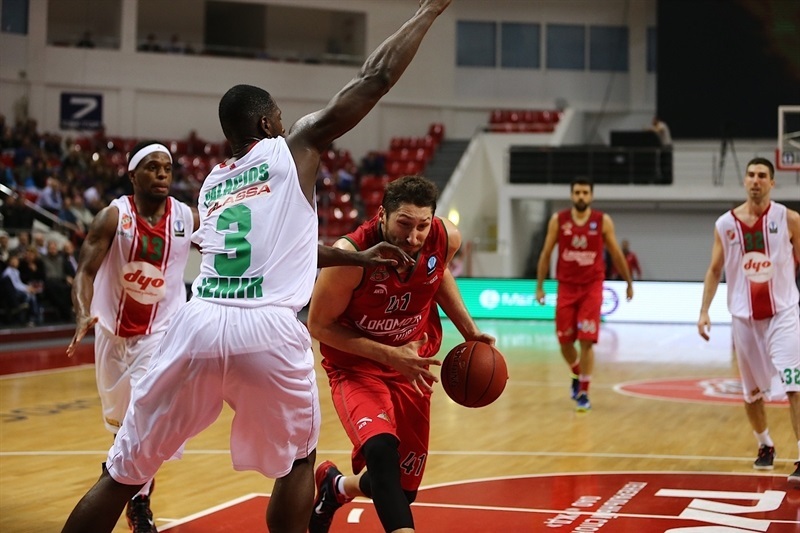 Jon Diebler of Pinar Karsiyaka led all the scorers with 24 points on 4-of-7 shooting from long distance, Juan Palacios amassed 14 points and 8 rebounds, while Bobby Dixon added 14 points. 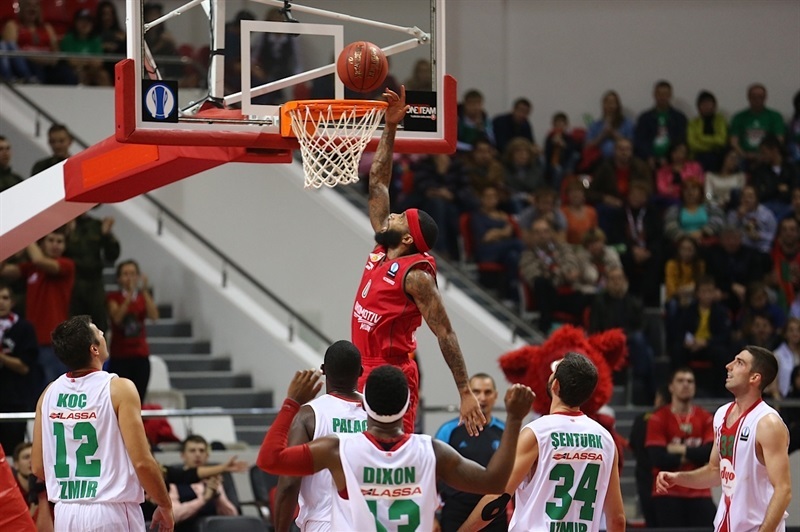 The game was balanced early with the lead changing four times and the scored tied thrice before a huge dunk by Brown gave a 16-13 advantage to Lokomotiv. Palacios copied him and Diebler hit with a jumper to put the visitors again in front, 16-17. 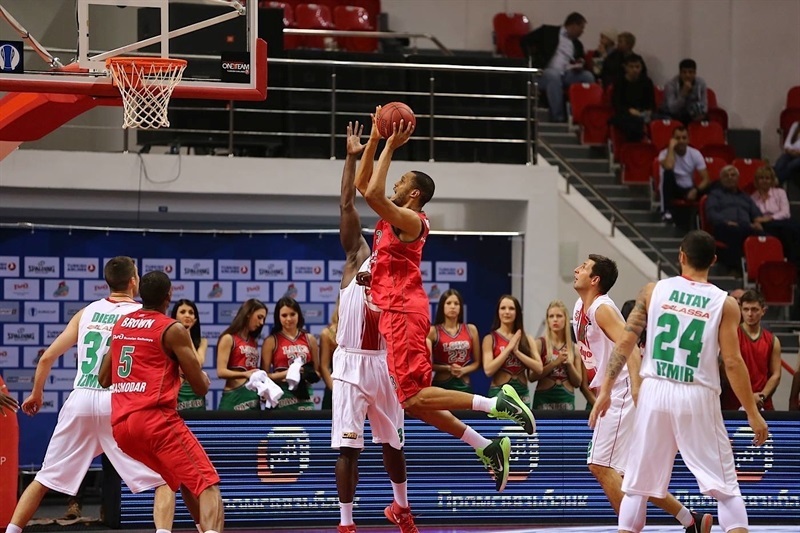 Maxim Grigoryev scored from mid range and Diebler scored 4 consecutive points to make it 20-21 for Karsiyaka after 10 minutes. Brown, in the open court, stopped a four-minute drought to start the second quarter, giving his team the lead. 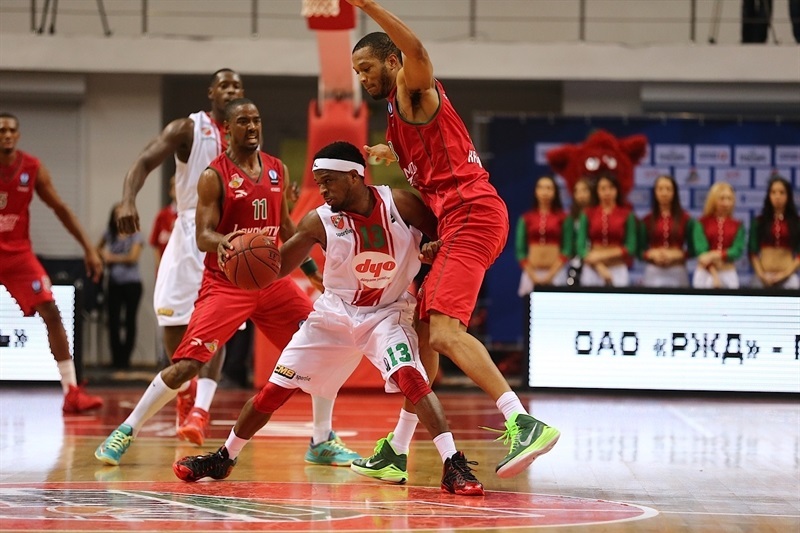 Then a 15-2 run fueled by five players, gave a 39-25 advantage to Lokomotiv at halftime. Nikita Kurbanov opened the scoring after the intermission to go up 41-25. After Delaney extended it to 45-28, the visitors reacted with a 5-14 run that featured four consecutive three-pointers from Diebler and Dixon to get within 50-42 late in the quarter. Delaney, from beyond the arc, made it 55-43 and Mutlu Demir fixed the score at 55-45 after 30 minutes. Eight unanswered points, capped by Simon from three-point range, seemingly iced the game for the home team, establishing a 63-45 margin. The visitors did not give up and made a big effort to get within 69-58 on a big dunk by Palacios with four minutes left, but never got within single digits and Randolph from mid range sealed a deserved victory for Lokomotiv. "It was a nervous game, because we had to look back at the loss against Khimki in the VTB League. When things turn out like this, you start questioning yourself whether you are doing everything right. We had two days to recover and see that we are the same team, it was just a bad day. We learned our lesson. 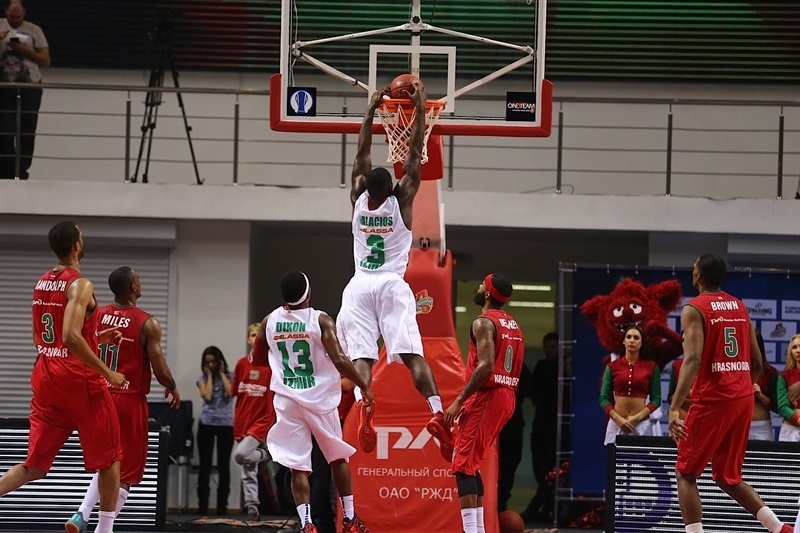 Karsiyaka tried to disrupt our offense by frequently changing their defense. And it wasn’t every time that we reacted correctly. Still our defense in the second quarter decided the game. " 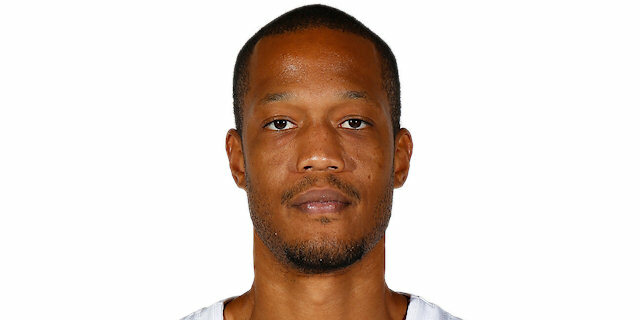 "It’s a good way to bounce back after the tough loss we had in the VTB League. Today we played differently on defense, and it fueled our offense, helped to generate fast breaks. Though we had too many turnovers. It was a good game, but we still have much room for improvement. " 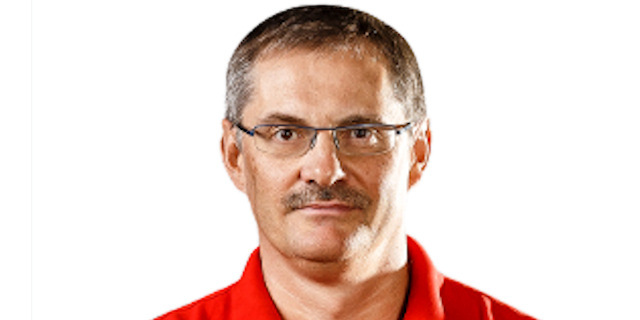 "Lokomotiv is a good team. They played with a lot of energy tonight while we just came out flat. They were trapping us and forcing turnovers, and we were not able to move the ball well enough to overcome it. We made good runs in the third and fourth, but it wasn’t enough."